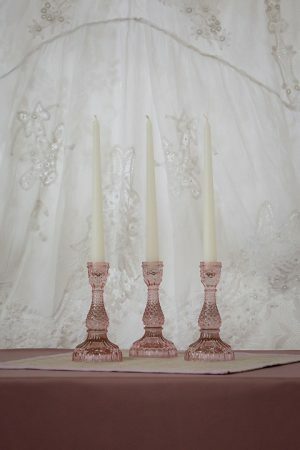 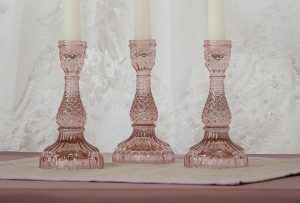 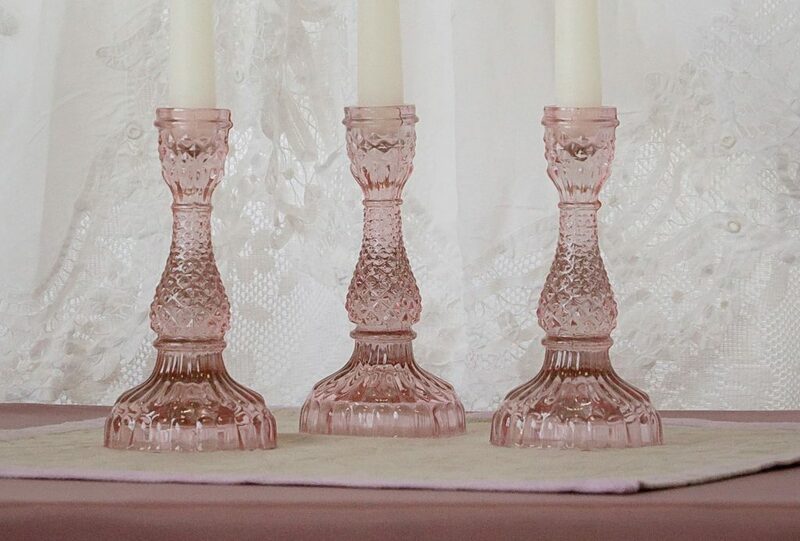 Pretty antique style candlesticks or candle holders, arrange in clusters of 3 or 4 as part of your wedding table centrepiece dècor. 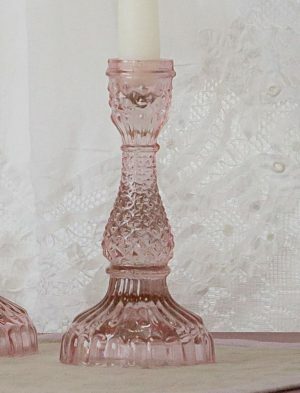 This will create a beautiful antique / vintage look. 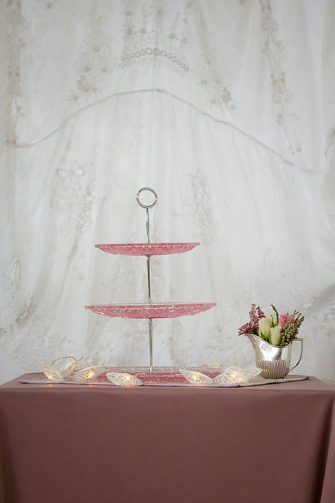 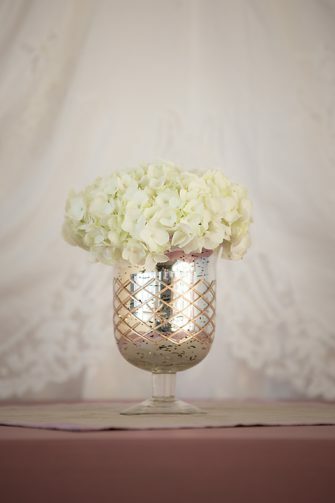 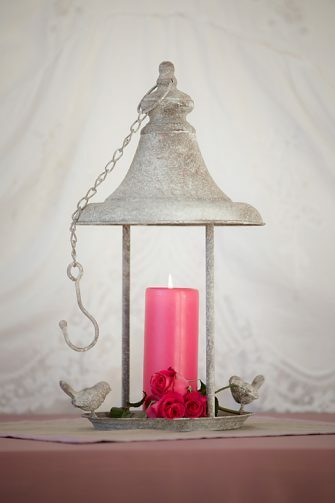 Combine with the pink fluted tea light holders in small & large to keep a simple colour pallet. 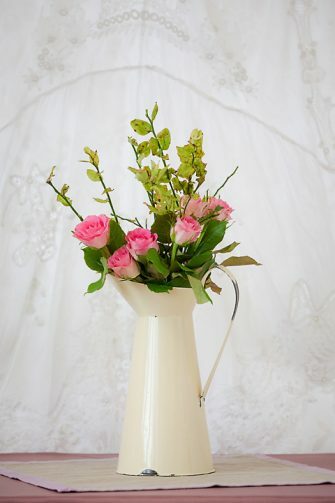 Add some pale coloured roses to the large fluted tea light holders. 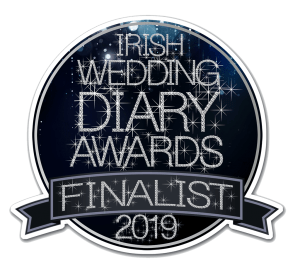 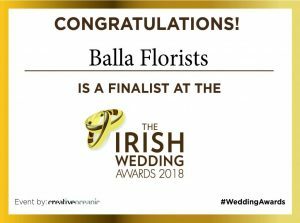 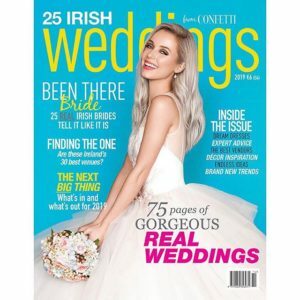 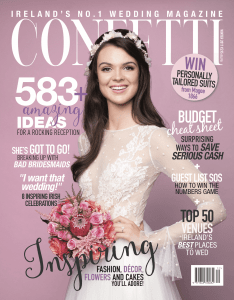 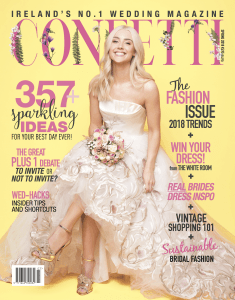 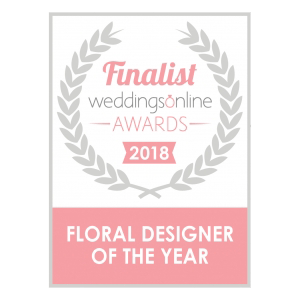 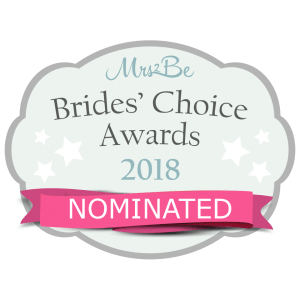 Winner of the 2018 WeddingsOnline Awards !